Nineteen forty-seven was a happening year for the world. Here, India became independent of decades of British rule. 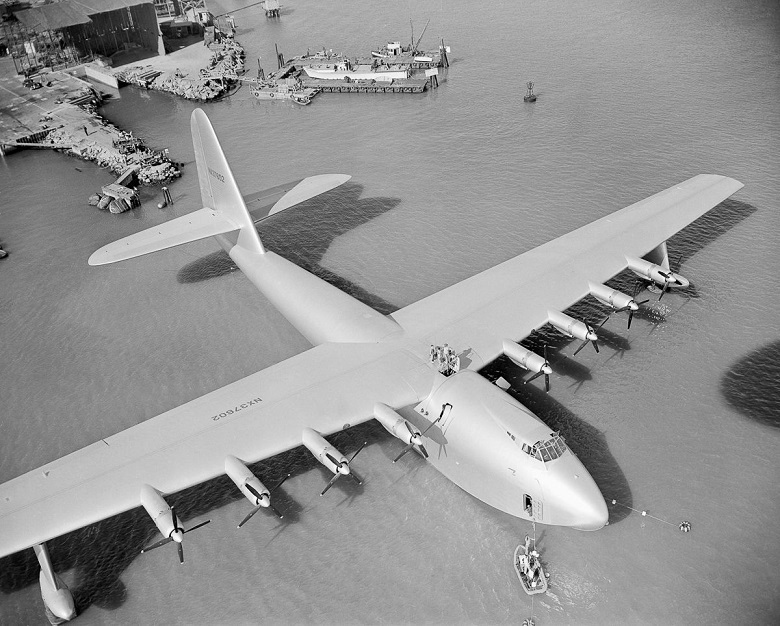 Less than three months later, the world’s largest flying boat ever built – the Hughes H-4 Hercules aka The Spruce Goose – made its first flight. It left its American makers in shock when its first journey became the Goose’s only flight. The idea of the vessel came during World War II to American industrialist Henry Kaiser, as German submarines hit one American ship after another in the Atlantic Ocean. Kaiser approached Hollywood producer Howard Hughes to build it, who, due to wartime rationing on metal, bought a forest to build it completely with wood. Its creation was a grand affair – work started in 1942 with $18 million (Rs. 130 crore) of funds from the American government. When the war ended, the government cut funds, but Hughes, who believed that the flying boat was vital, then spent $7 million (Rs. 50 crore) of his own money on the project, which finally ended in 1947 (by then, Kaiser had dropped out). 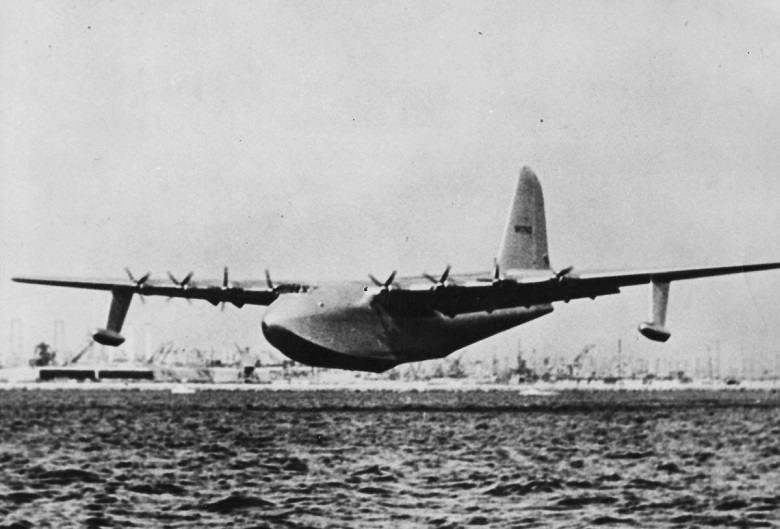 The resulting flying boat, powered by eight P&W engines of 3,000 hp each, was designed to carry 750 men. It took off from and landed on water. It was six times bigger than any other aircraft till then. On November 2, Hughes took it out onto the Pacific for taxi tests, but suddenly, spontaneously, throttled and took off at 130kmph. Reports have it that it flew for a minute in “scary fashion”, covering 1.5km at 70ft, before landing. It never flew again, but Hughes had fulfilled his challenge – he had promised to leave the US if it didn’t fly. After Hughes’ death in 1976, the Aero Club of Southern California acquired it and put it on display in Long Beach. In 1992, Delford Smith, founder of Evergreen International Aviation, bought it. Evergreen finally completed all due payments in 2015; since then, the iconic Spruce Goose remains on display in McMinnville, Oregon.